Four courts on the third floor of the facility have wood floors marked for high school basketball and volleyball. Courts 1 and 4 can be used for badminton. 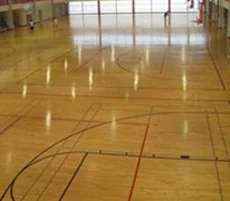 Two multipurpose activity courts (MAC) on the first floor have rubberized floors for multiple types of activities, including basketball, volleyball, dodge ball, or indoor soccer. Basketball hoops, volleyball and badminton nets, scoreboards, and bleachers are available. 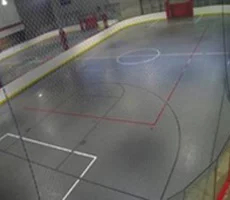 Goal boxes are available in the MAC courts.